AS part of the Killyleagh Community Safety Action Plan, local volunteers have come together to help drive initiatives in the area. 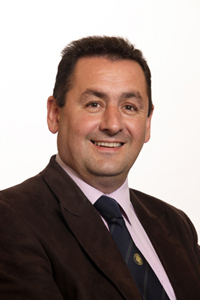 Cllr Willie Clarke, Down PCSP Chairman. This group are particularly interested in running programmes for young people at the weekends when they are at a loose end. The group who are getting formally constituted at an open meeting on Wednesday 13 November 2013 at 7pm in the Bridge Centre, Killyleagh are encouraging locals to attend and help develop programmes for young people in the area. The group are hoping to kick off these programmes at the beginning of the new year to keep young people off the street and use up their energy in a safe environment. This group would especially encourage young people to attend and join the group to have their voices heard and to ensure the programmes developed meet their needs. Policing and Community Safety Partnership (PCSP) Chair, Councillor Willie Clarke said: “When communities come together they can make a real difference in improving the safety of an area. This group of volunteers are going to give up their free time over the weekends and I commend them for this. If you require any further information on the Killyleagh Community Safety Action Plan please contact the Policing and Community Safety Partnership at Down District Council on 028 4461 0800.